Send your files, copy points, or your ideas and we’ll turn it into a printed piece. Our professional copywriting and graphic design services are available to develop your concept into a finished design. Our creative design team excels in producing direct mail pieces that get results. We use time-proven principles that have been shown to elicit the intended response, as well as the latest technologies such as QR code generation for your piece. In addition to QR codes, our graphic artist also employ the latest marketing technologies in all of their designs. Variable data printing and personalization of direct mail pieces are another example of what gets results! As new technologies emerge, Welcome Host will be among the first to implement them in our designs, and is constantly updating our graphic design software and hardware to meet these needs. QR Codes are one of the latest waves in tech-savvy marketing. Customers with smart phones or web cams can scan your contact information into their devise or go straight to your website. We can assist with generating your code and incorporating that into your marketing pieces. Try scanning this one and see what happens. 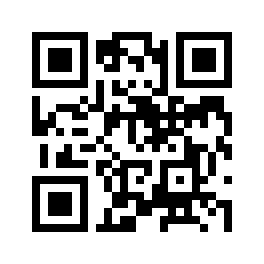 Why are QR codes important? Because within 2 years, more people will go online using their cell phones than using a desktop or laptop computer. So you want to be able to drive traffic to your website from a cell phone quickly and easily.